Samsung has sent out invites to an event on February 20 where we’re sure to see the Samsung Galaxy S10 range, but we might also see the foldable Samsung Galaxy X there. 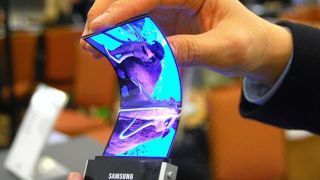 That’s according to The Wall Street Journal, and Samsung has apparently decided on that date rather than MWC 2019 later in the month because Huawei is rumored to be launching a foldable phone of its own at the latter event. So Samsung seemingly wants to get in there first and have the limelight to itself. That would then apparently be followed by a release to stores in April. Though previous rumors suggest the Galaxy X could be a network exclusive in some regions, and it’s sure to cost a lot, so it might not be easily accessible to many buyers. We would however take this release date rumor with a pinch of salt. Although we’ve heard rumors of a February announcement before, that could just as well mean an announcement at MWC. Plus, announcing the Galaxy X (or Galaxy F or Galaxy Fold as it might be called) alongside the Samsung Galaxy S10 could take some of the attention away from the company’s main flagship. Then again, having two major product launches in the space of a week would also seem unusual, and with other rumors pointing to MWC that’s the likely alternative. So it’s very possible that we will get a proper look at the Samsung Galaxy X on February 20. With or without the Galaxy X, February is looking to be a very busy month for smartphone launches, with the Sony Xperia XZ4, LG G8 and more possibly also set to make an appearance.